AOC Envision is a lower priced electronics manufacturer. Their main specialty is LCD (liquid crystal display). They manufacture both LCD monitors (for computers) and LCD TV’s up to 42 inches. You can find AOC Envision LCD TV’s at many stores like Wal-Mart and online shops like Amazon.com. AOC is a worldwide brand that started here in the United States but is now a brand under TPV Technology Limited who is based out of Taiwan. AOC Envision focuses primarily on LCD TV’s in the lower size ranges, everywhere from 19 inches up to 42 inch LCD TV’s. They have TV’s available with 720p, 1080p and many other common features available on the market today. AOC Envision TV’s are definitely on the lower-priced side and attract budget-minded shoppers much more than high-end HDTV enthusiasts. Many people use AOC Envision TV’s in bedrooms, kitchens, offices instead of as a primary viewing TV. AOC’s primary focus appears to be more on the monitor display side where they’ve done very well. Searching for a specific AOC Envision TV review? 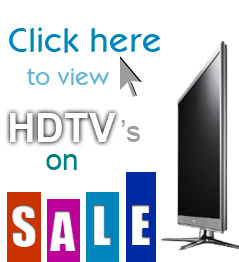 As discussed above, AOC Envision HDTV’s are on the lower-price end and you can expect similar quality. Being a well-known display manufacturer, the general display is fine but nothing extraordinary. AOC Envision doesn’t go out of the way to make the physical appearance of their TV’s stand out either. Keep in mind, these items aren’t necessarily negatives depending on what you are looking for in an HDTV. If you’re looking for a simple TV that isn’t on the cutting edge of display technology, features or general appearance, you may be interested in an AOC Envision TV because of the money you’ll save. One of the main things people wonder about when purchasing a cheaper, lesser known brand is the reliability. Even though you are spending less, you don’t want to have to replace your TV every year. Many people refer to this as the total cost of ownership of a TV. Saving a few bucks is great but not if it costs you each and every year to replace it. From the feedback we’ve received, AOC Envision TV’s are fairly similar to other budget brand TV’s in that most viewers will be fine. You may see some slight discoloration, lines or other issues over time but probably not to the point where it becomes a major hindrance in watching TV. That being said, you typically seem to find a higher ratio of complete duds, meaning TV’s that completely bomb out on you within the first year, in these price range of TV’s. Buying budget brand HDTV’s is slightly more of a gamble than with a better known brand so make sure to review the warranty and consider an extended warranty if the pricing makes sense. Because most people considering AOC Envision TV’s are paying a lot of attention to price, we’ve hit on the pricing vs. usage concerns previously in this review. AOC Envision HDTV’s are very competitively priced online and physical stores like Target, Wal-Mart and others. In most cases, it will probably be one of, if not, the lowest option available to you if you are looking for LCD TV’s in a smaller range. We believe they focus in these smaller ranges to provide inexpensive options to those who are looking for a simple TV and are not looking to truly deck out a home theater. AOC Envision has stayed out of the larger TV sizes up until this point. Their lower cost TV’s lend themselves well to people looking for secondary TV’s or for those who just need something very basic. Since AOC Envision isn’t one of the larger TV producers, we haven’t heard much feedback regarding their customer service or support lines. Make sure to research the warranty options and the available methods of support. Most HDTV companies provide phone support, some have email or even provide support through platforms like Twitter and Facebook. If you’re concerned about not getting the proper level of support that you’d like, make sure to call into their support line prior to buying the TV and see what kind of response you get. This may tell you a lot about their company. Those of us who live in the Audio/Video world have a hard time recommending some of these budget brand HDTV’s but the truth is, if you just need a very simple, basic TV, they may be the best option due to their lower costs. One of the great parts about AOC Envision is that they do have a deep history and worldwide distribution of PC displays as well as HDTV’s so you know they’re not just a company that came out of the blue and had no previous experience. If you’re looking for basic TV’s like this we think AOC Envision is worth considering alongside other brands like Insignia, Viore and others.